Vegan pizza has come to town! Green Magic is a home-run vegan food venture that started its vegan journey earlier this month with pizzas. 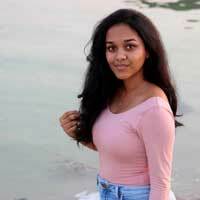 Ru Ish, the founder of Green Magic, felt that there was a need to fill in the vegan food gaps in Colombo and after much persuasion and good feedback from her friends, she got started on her vegan venture. Although they started out with pizza, their plan is to expand to other vegan items as well. Ru Ish told us that there are ongoing trial and errors with further pizza toppings, appetizers and more. So don't fret, fellow vegans, there is more to come. We tried Green Magic's current vegan pizza with all possible toppings. Soya meat, button mushrooms, bell peppers, onions, tofu and a homemade tomato base. 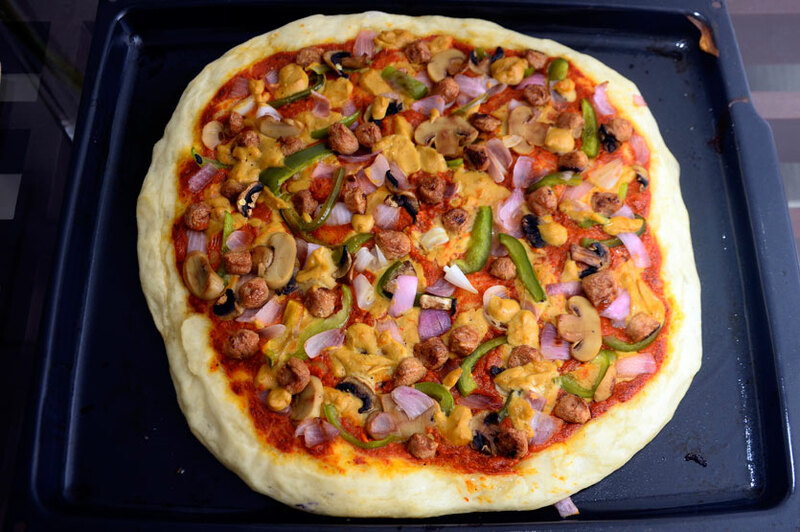 Ru Ish told us that she wants to create a very homely pizza with locally sourced ingredients. The highlight of their pizza is the homemade tofu cheese! After trying their pizza I came to the conclusion that it was too good to be vegan. The lack of meat did not bother me (may or may not bother a meat lover) as all the flavours were so rich. The tomato base was super flavourful and tangy. The homemade tofu cheese (which I didn't realize was tofu) was another level of goodness. The way Ru Ish had utilised the tofu to make a creamy cheese was superb. Just like the meat, the lack of cheese went unnoticed. If you are open to trying new things, the tofu cheese will satisfy you. But I have to warn you that it isn't remotely close to cheese (it is always good to have an open mind). The crust was super crunchy on the base and gradually softened to the top. Another good part was that all the toppings were juicy and tender. I was a bit put off by the taste of soya meat, but you can order yours with or without it. I personally felt that Green Magic's pizza was one that made you question its vegan feature (I even asked Ru Ish if she was kidding with me!). For the price of Rs. 1200, the vegan pizza is worth it. They also serve extra tofu cheese for Rs. 50 and extra veggies for Rs. 10. We then tried their two layered Vegan Chocolate Cake (Rs. 1200). Lasith Fernando, who handles the marketing operations, told us that most items add dairy products uneccesarily. After trying their cake, I had to agree. There was not much space to eat the chocolate cake after having the (really filling) pizza. The cake was soft and gooey and the chocolate icing was pretty good. The outer edge of the cake was a bit dry, but that is to be expected with any eggless cake. Overall, it was pretty good. 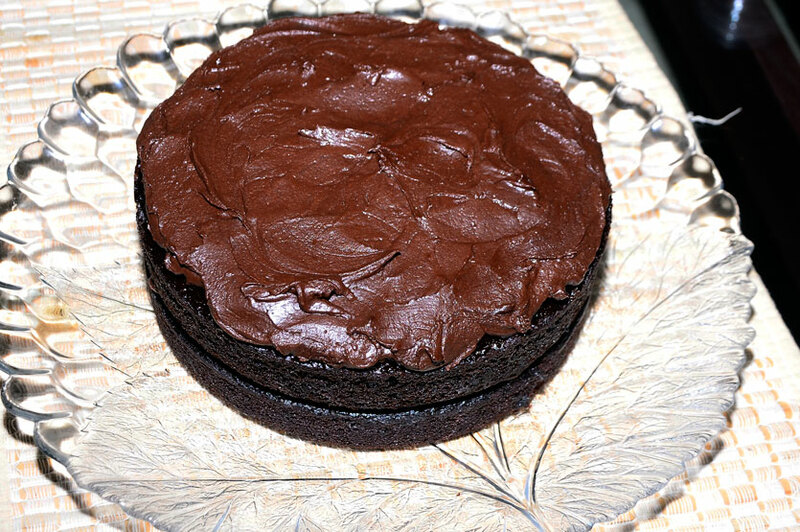 If I served you a slice of their chocolate cake, you wouldn't even know that it was vegan. It's priced at Rs. 750 for one layer of their chocolate cake. Keep a lookout for new items on their Facebook and Instagram pages. Call on 0777 502 772 for orders.